Sales and Seasonal Events at the CAC Boutique! The 3rd Thursday of each month, almost every item in the store is 50% off! Some exclusions apply. Look for our winter clearance sale beginning the third Thursday of February. 50% savings on winter clothing for several days followed by the $1 sale. All winter clothes sell for $1 each! The Spring Merchandise Clothing reveal takes place the first Tuesday of March. 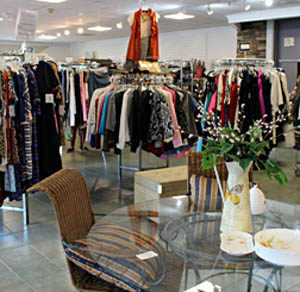 Come early for best selection of new and designer merchandise we’ve been collecting all winter. Shop for Back to School clothing the last week of July. Uniform items included. Get bargain prices on all summer clothing at the End of Summer Season Clearance Sale beginning the last Thursday in August. 50% savings on summer clothing for several days followed by the $1 sale. All summer clothes sell for $1 each! It’s awesome! The Tuesday after Labor Day shop for the newest thrift fall fashions! The CAC Boutique is closed at the end of December for the holidays and inventory and reopens in January. Subscribe To Our Boutique Weekly Email!